44 page booklet featuring over 50 images from the Barbara Wasiak archive. 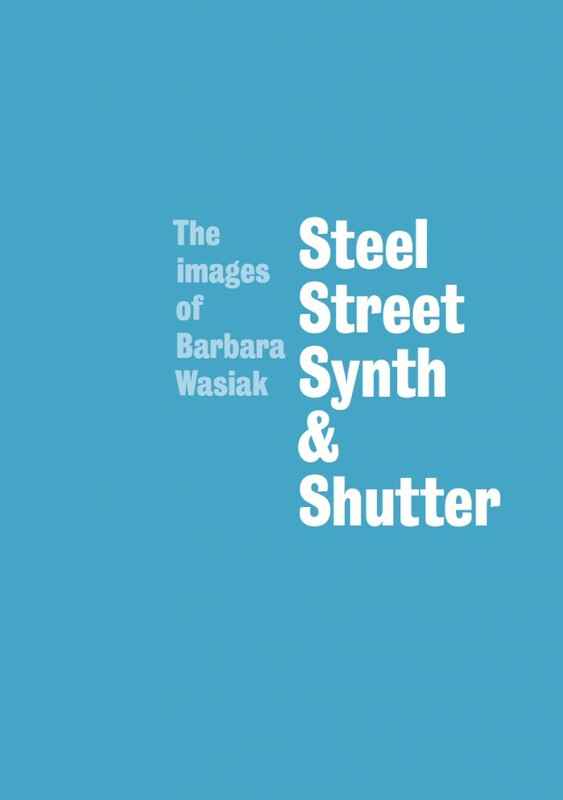 Barbara Wasiak was best known for her photographs of the Sheffield music scene in the 80’s, 90’s and beyond. Her archive includes Cabaret Voltaire, Roisin Murphy, CHAKK, Hula, Tree Bound Story and many more. She was also an enthusiastic social documentary photographer, capturing the grit and humour of Sheffield life. Her archive also includes personal and collaborative projects in which she cast a keen eye upon social, political and cultural issues. Spec – A5 booklet (portrait) printed on 170 gsm silk paper with a 300 gsm cover. Steel, Street, Synth and Shutter supported by the National Lottery through the Heritage Lottery Fund. The exhibition was also made possible by many lovely crowdfunders and with support from Sensoria Festival. 50% of proceeds will be donated to Cancer Research.